Phone call conversion rates are exponentially higher than email or form ones. The problem is you often don’t know where those phone calls are coming from. OR why they’re happening. Same applies to other offline ads or direct mail. Which only compounds your problem when you try to track those activities through to closed customers. Here’s how to find them and track ‘offline’ conversions back to the online activity that generated it. Where are (all) of your visits coming from? The whole world’s gone digital these days, right? Mostly. But contrary to popular belief, online is just a piece (albeit a very, very large piece) of the whole puzzle. Total digital ad spending is expected to rival TV’s in the next year. For many, the online world is only a tool to supplement real life (gasp!). This means offline marketing is still a thing. Still, a see it, touch it, feel it kind of thing. While only 20-30% of emails are opened, direct mail has an open rate of 80-90 percent. What’s more? Response rates for direct mail (3.7%) are almost 400 percent higher than social media (1%) marketing response rates. The problem, of course, isn’t the results. It’s being able to track them. Especially when you lose that ‘digital paper trail’ with offline activities. 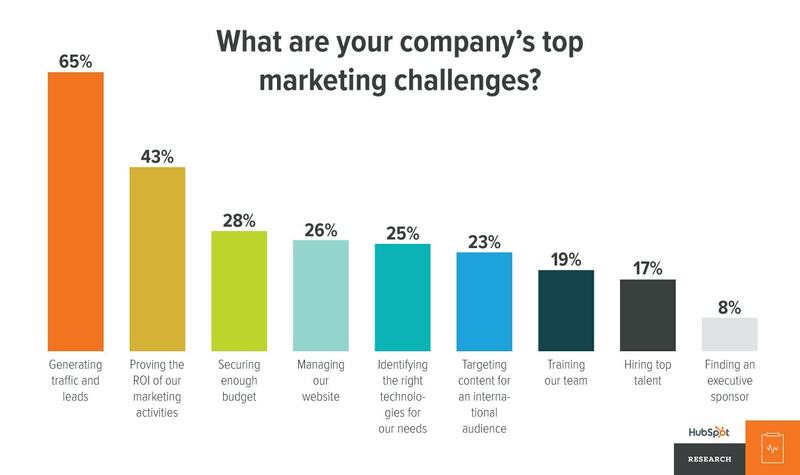 A 2016 Hubspot survey found that proving the return on investment of marketing activities was the second largest challenge for marketing companies. The first step is always segmentation. Not customers this time though, but your traffic channels. 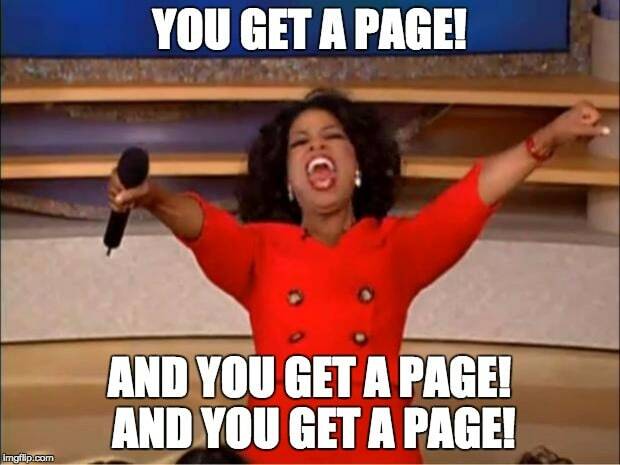 That means you clone a campaign’s landing page and duplicate one for PPC, one for social, email. And of course, any (and all) offline campaigns like direct mail. Keep URLs short and memorable. Think: easy to spell. Make a log of all the URLs and their corresponding campaigns. Maybe in an easy to use tool. Include a no index meta tag. This will help prevent duplicate content from being indexed by Google. Now each offline ad can have their own pretty, branded URL. That we’ll redirect to a properly-tagged page on your site. That way your analytics program of choice will properly pick up new traffic (that would otherwise get lumped under Direct) and assign them to your campaigns instead. So a New York City dry cleaner with multiple locations in each of the boroughs would use different domains like LongIslandDryCleaners.com, BrooklynDryCleaners.com, etc. These URLs will take the visitor to a pre-tagged, location-specific page. Where are those phone calls coming from? That phone you’ve got there? It’s not just for texting, Snapchat, and Instagram. In fact, in a far off land, long, long ago, phones weren’t even able to add a bunny-eared filter to your pictures. I know. It’s crazy to even think about. It’s true, though. And if you look hard enough, you might even be able to find its secret powers: a keypad that lets you dial out and talk (talk!) to another person. While this might seem like an antiquated idea, when it comes to business and converting individuals into card-carrying customers, calling is king. In fact, a 2016 Invoca study found that 65% of people surveyed would rather use their phone to contact a business, compared to the 24% who said they’d rather use an online form. Lots of people are getting in on the secret and using their phones for calling. But what made them do it? Something had to convince them to close out of Facebook and make the call. According to Invoca, 70% of them were driven by digital channels. Even better? 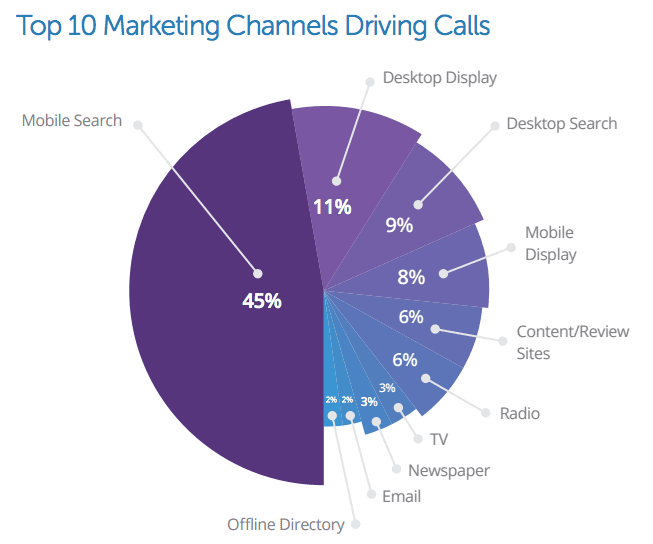 Those phone calls lead to 30-50 percent conversion rates, compared to online conversion rates of a measly ~1-2%. Multiple things probably made them call in. Maybe they saw an ad in a magazine, then searched for the website on their phone to get a little more information. Then the next day, they down at their tablet and did even more digging. Now they’re hooked and want to call. So, how do you pinpoint where they came from? How about the times when a user doesn’t call from the Google ad? What if they ended up calling after surfing your site for a bit? For that, we go back to those unique landing pages. Link the ads to their own landing page, which will each have its own unique phone number. Get a call from that number? Now you know where it came from! CallRail even offers a visitor-timeline to get even deeper into the weeds of every step of the customer journey. Which offline events are turning into paying customers? A call is great. Something you’re doing worked. But just because a person calls doesn’t mean they have their credit card ready to hand over. They might have a peaked interest, but it’s up to you to figure out what makes them want to sign up or buy. So now you need to focus on closing the deal. This is where things get tricky. Comparing phone calls by source is a start. But these leads don’t equal paying customers. For example, one AdWords campaign might result in 20 calls, but only three sales that made it through to completion. While another AdWords campaign might not have resulted in as many calls, but with a higher close or avg. order value. The trick is to use tools that follow your potential customer all the way through their journey with the company. 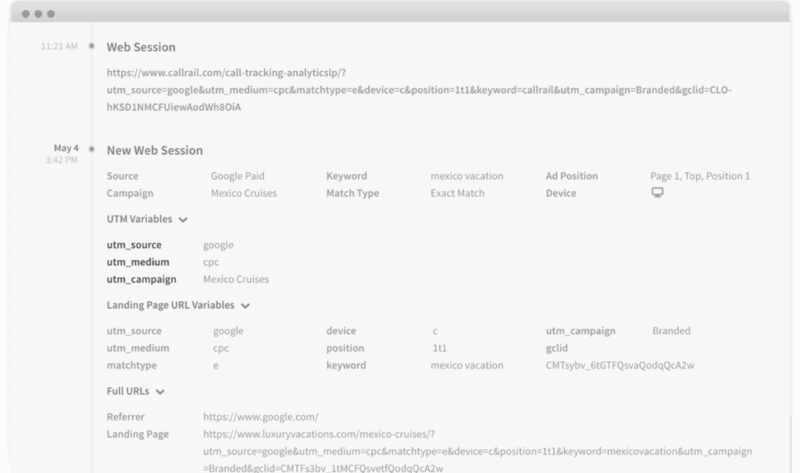 One of my favorites is Dynamic Keyword Insertion from CallRail. This ‘pool’ of available phone numbers will follow individuals as they browse your site (instead of being locked down to just individual pages). You can forward these numbers to your real one. And they’ll ‘refresh’ for each new visitor after the first dropped off. The dynamic number will create a record of who’s calling, but what landing page they started with, what traffic channel sent them, and then all of the different pages they looked at on your site before calling in. This method worked well for Polaris Fashion Place in Columbus, OH, who upped their conversion rate from 1.36% to 6.6% after adding dynamic numbers to their website. And, they reduced their PPC advertising spend from $456.31 to $451.94. Tracking offline actions is part art, part science. There is a method to the madness (albeit a one that takes some time and effort). But once you put together a system that works for you, and can identify what campaigns and offline activity are bringing you the most phone call and web traffic, you’re golden. You’ll be able to put more money into the stuff that’s working, and divert money from what’s not (or, at the very least, fix the problem and try again).